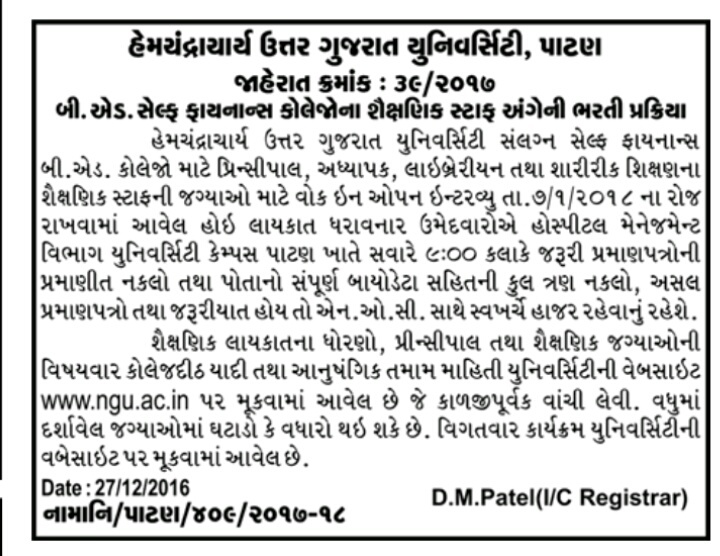 Hemchandracharya North Gujarat University (HNGU) has published a Advertisement for below mentioned Posts 2018. Other details like age limit, educationalqualification, selection process, application fee and how to apply are given below. Educational Qualification : As per state Govt. / U.G.C./ Council of Architecture/ University Rules. How to Apply: Eligible candidates may Attend Interview with their application & necessary documents to given address below.